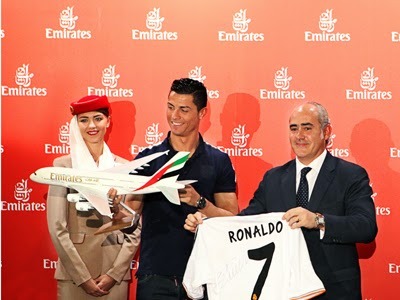 ilulz Blog: Cristiano Ronaldo Emirates Airlines newest Global Ambassador! 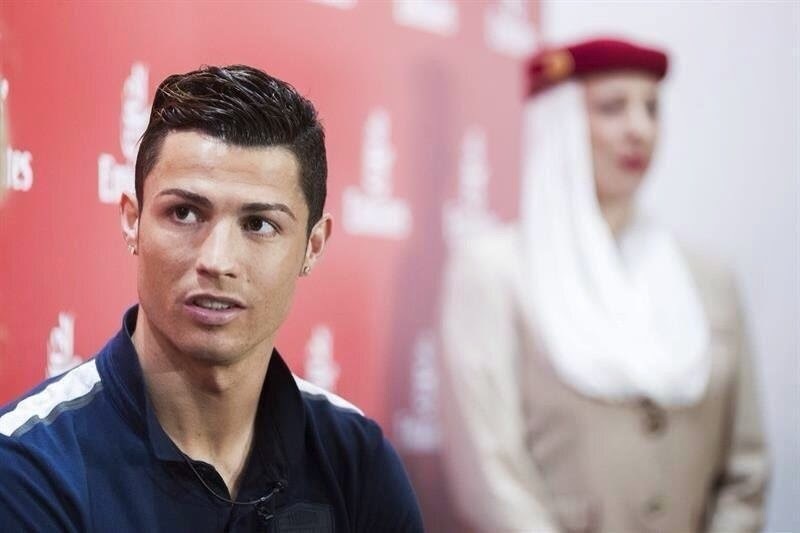 Cristiano Ronaldo Emirates Airlines newest Global Ambassador! Emirates Airline, an Official FIFA Worldwide Partner, announced that Cristiano Ronaldo, Portuguese captain and winner of the FIFA Ballon d’Or 2013, is its newest Global Ambassador “which makes him the second global ambassador for Emirates Airlines.” In the same press conference, held in Madrid, the airline also premiered its campaign video featuring the football superstar alongside Brazilian legend and fellow Global Ambassador for Emirates, Pelé. Emirates, a global connector of people and passions, has brought the two football idols together with fans in its flagship A380 onboard lounge in a new digital campaign, which launched on March 28 around the world. The announcement comes just 74 days before the world’s most watched sporting event kicks off in Pelé’s home country of Brazil. 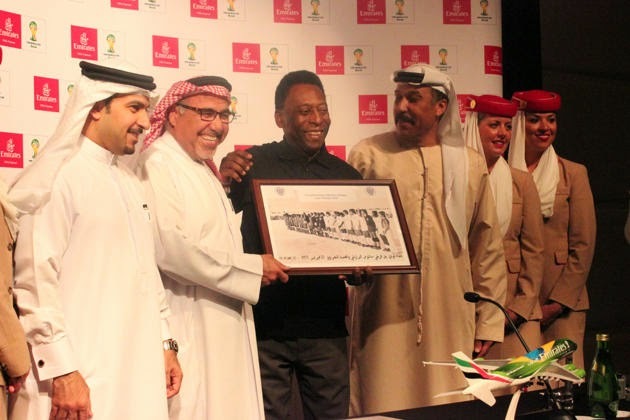 In January, the airline announced three times World Cup winner Pelé as their first Global Ambassador in 2014, continuing with the tradition of only working with the very best on the field, Cristiano Ronaldo was the ideal choice to stand alongside Pelé. Boutros Boutros, Emirates Divisional Senior Vice President of Corporate Communications and Brand said: “Both Cristiano Ronaldo and Pelé are well-known around the world.It is not only that their names and faces are synonymous with top-quality football, but also that they have the ability to inspire and connect with people within and beyond the sports arena.Each year Emirates is involved in more than 200 sports events, where fans and customers share exclusive experiences. This campaign reflects the Emirates philosophy to go beyond transporting people and to connect them through sports and culture. An official FIFA Partner since 2006, Emirates has been involved with the FIFA Women’s World Cup, the FIFA U20 and U17 World Cup, as well as the FIFA World Cup– including the upcoming 2014 event in Brazil. Operating daily flights from Dubai to Rio de Janeiro and São Paulo, Emirates is expected to transport over 18,000 passengers during the month-long tournament this year. The airline connects Brazil and the South American continent to the world, facilitating trade and tourism with air transport links beyond Dubai to the Far East, Australia, the Middle East and Africa. The 3H Effect "Happy, High & Hyper"
[ilulz Station] Right Here Waiting For You! New Spring Color Collection at The Body Shop! [ilulz Station] Best Day of My Life! [ilulz Station] Ain't It Fun!